Prime Minister Sheikh Hasina will address a press conference on Monday to brief the media about her just-concluded Saudi Arabia visit. 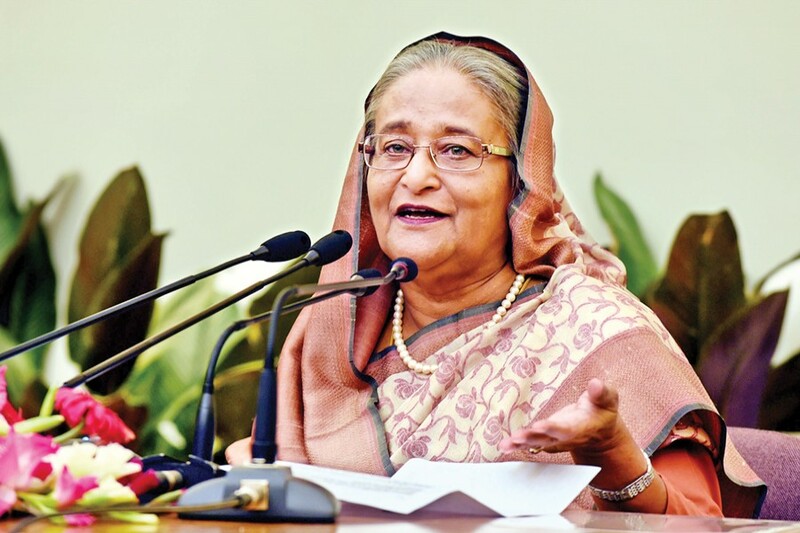 “The press conference will be held at her official Ganabhaban residence at 4 pm on Monday,” PM’s Press Secretary Ihsanul Karim said. The premier paid her four-day official visit to Saudi Arabia from Oct 16-19 at the invitation of King and Custodian of two Holy Mosques Salman bin Abdulaziz Al Saud. During the visit, the prime minister had an audience with the Saudi King at Royal Palace in Riyadh and joined a lunch hosted by the King in her honour. She also held a meeting with Saudi Crown Prince, Deputy Premier and Defense Minister Mohammad bin Salman bin Abdulaziz and discussed issues relating to bilateral interests. The prime minister held a meeting with the leaders of the Council of Saudi Chamber and the Riyadh Chamber of Commerce. Following the meeting, five memorandums of understanding (MoUs) regarding cooperation in industrial and power sectors were signed between Dhaka and Riyadh. The prime minister inaugurated Bangladesh Chancery Building in the Diplomatic Quarters in Riyadh and laid the foundation stone of the Chancery Building of Bangladesh Consulate General in Jeddah. Sheikh Hasina performed Umrah in Makkah and offered ziarat at Rowza of Prophet Hazrat Muhammad (PBUH) at Masjid Al-Nabawi in Madinah.